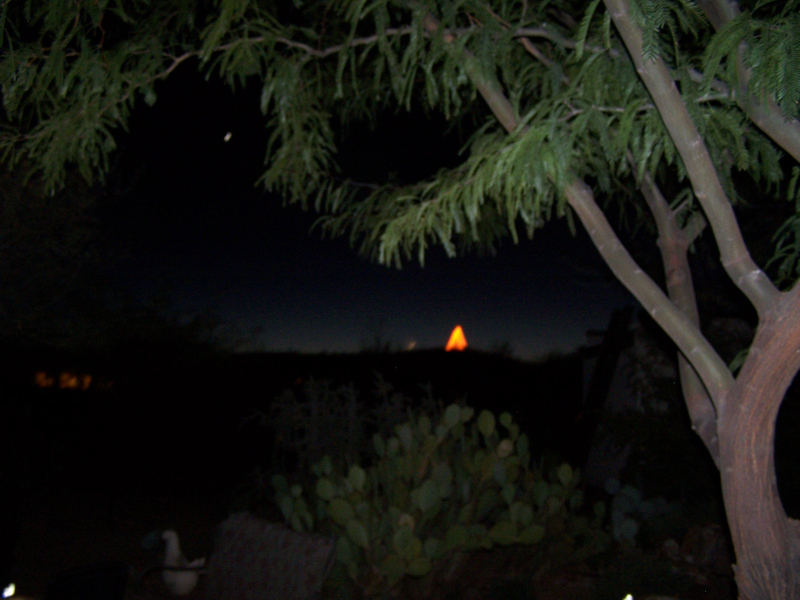 The lighted tree we see every year that is perched on the mine that sits behind the house…to the left is the sliver of a moon, and then you can see the Christmas star just to the upper left! This could have been a better picture, but I had to share it anyway. Merry Christmas to all….and all a good night!